Social media listening brings myriad opportunities to your brand – from generating leads and extending your reach to connecting with your audience and improving brand reputation. In fact, 89 percent of marketers find social media listening effective, but only 37 percent are practicing it. So why haven’t more marketers opted in? Want more insights from these five social media powerhouses? 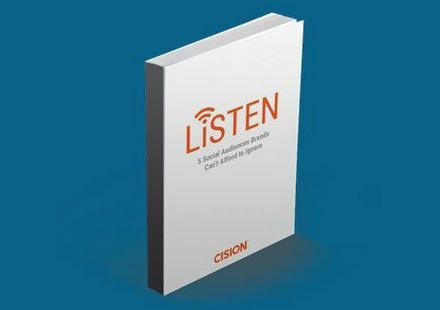 Find out how social media listening can help your brand with Cision’s new Listen e-book! Social media makes it easy to identify potential clients. All you need to do is track mentions of your company’s name and see what people are saying. But it’s more than just finding out who’s talking about your brand. People often use social media as a platform to air their grievances. Keep an eye out for people looking for solutions to their problems – especially the types of problems you can solve. When customers have a poor experience with your business, very few of them take the time to write or send a complaint your way. You may be tempted to ignore those that do, preferring to focus on the positive instead of the negative, but those complaints offer an opportunity for your brand. Take note of what your customers are complaining about – chances are it may be an area where you can improve. If you want to make a name for yourself, you need to understand your industry – and that starts with your competitors. First, run a Google search to see who the top contenders are. Then, find out everything you can about what they’re doing well – and where there’s room for improvement. Don’t just copy what the competition is doing though; instead, find ways to innovate and set yourself apart, creating a niche all to yourself. Your audience will only follow those they trust. If you’re new to the game (and even if you’re not), finding a way to gain your audience’s trust can be a challenge. Influencers give you the chance to connect to your audience in a direct way and extend your reach more than you could ever do on your own. Find out who your audience already trusts and align your brand with them. Your audience will likely be more willing to follow and trust you as well. 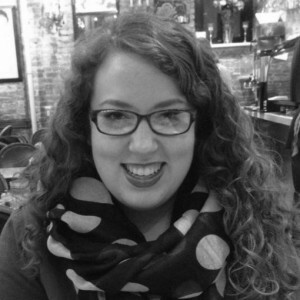 With the pervasiveness of social media, every employee is a spokesperson for your brand. While this may alarm many businesses, it’s actually a valuable opportunity. Employees give a face and a name to your brand, allowing customers to connect to you on a human level. Then, when those employees do something good, their connection to your brand will help to build and strengthen your reputation.